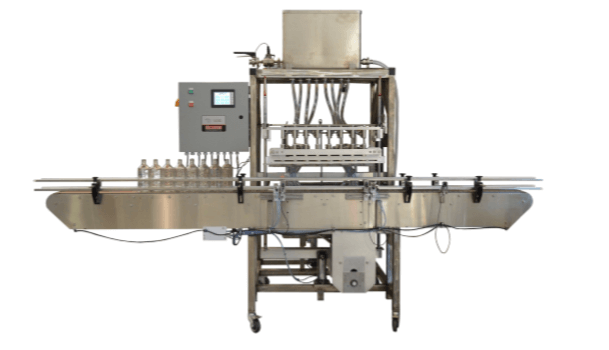 8-Head Gravity Overflow Filler | InLine Packaging Systems, Inc.
Based on a fill-to-level principle, the 8-Head Gravity Overflow Filler delivers a quantity of flowable liquid into the container until it reaches an adjustable fill height. Excess liquid then flows through the overflow vent back into a tank until the time cycle is complete and the filling head retracts. This is the ideal filling style for a wide variety of product and container types. The 8-Head Gravity Overflow Filler starts with eight 316 SS mechanical filling nozzles mounted for complete adjustment to bottle sizes ranging up to 3 ½” diameter. Pneumatic escapement gates control the containers while neck guides control the container openings under the filling nozzles. Automatic level control using ultrasound sensors ensure that the product level (and thus fill time) are carefully controlled in both the product and overflow tank. A stainless drip tray ensures clean transitions between containers. A 6” color touchscreen allows fine control of all manual and automatic functions, including saved recipes for various packages and supports cleaning protocol through full manual control of each device. An 8” centralized stainless steel main conveyor is included with variable speed control and super-clean conveyor ends for easy transitions. Choose the filler option to meet your needs with our GO-8 Filler. When you are looking for quality and efficiency, look no further than In-Line. 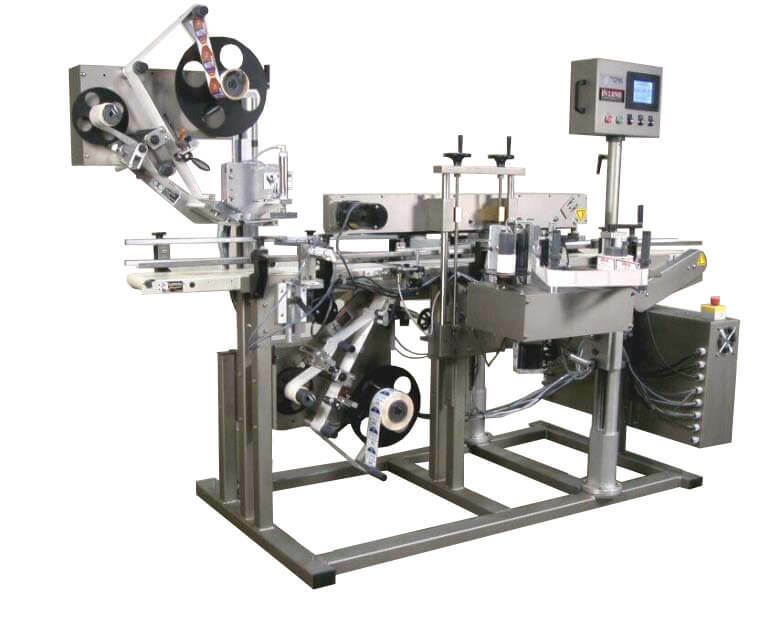 Our range of bottling, labeling, filling, and packaging machines will meet the level of quality and detail that you need. You put the time and consideration into your product, why not carry that over with the outstanding service and construction of our machines. We know the industry and we know the biggest challenges of the industry. That’s why we’ve spent the last 20 years developing solutions for beverage companies that save time and money. We also back up our products with a one-year warranty. And we provide support after the sale. When you choose In-Line, you partner with us for the long-term. Contact us today to get started on a custom solution for your business!